Mount a GPS, MP3 player, or cell phone quickly and eaily with a RAM EZ-ON/OFF handlebar base. 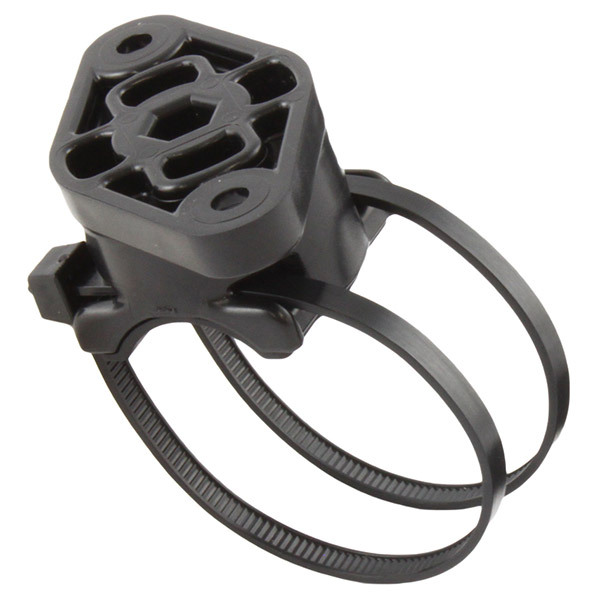 Designed to fit most common handlebar sizes, this compact and durable mount is ideally suited to the open road or trails. Uses common zip ties to attach to a variety of handlebar diameters. Made of high strength composite, it is light weight too. Adjustable to allow for the best viewing angle, this product is perfect for any cyclist and their compact electronic device. It is really simple and easy to set.